AccesVPN Review – What To Expect From The Service? AccesVPN is a privacy service that has been around since 2009. The company behind the service aims to deliver a secure and reliable privacy solution to its customers. In this exhaustive AccesVPN Review, we will check what AccesVPN has to offer and decide if the service is worth subscribing. As of this writing, AccesVPN has a presence in just one country – Netherlands. Although the lack of choice of VPN gateways is indeed a drawback, the service can be used to circumvent censorship from restricted locations as well as to unlock IP restricted content that is available only within Netherlands. The service is tailor-made for Dutch expats and tourists who wish to unlock banking, ecommerce and streaming content sites (Spotify, Rara, Sport1, TV Lab, Deezer, RTVNH, AT5, Film1 just to name a few) that require a Netherlands based IP address. Additionally, the service makes it possible to bypass all forms of censorship and access popular services like Twitter, Gmail, Facebook, YouTube, Skype and GTalk even from schools, universities, workplaces and locations such as UAE, China, Saudi Arabia, Qatar and Brazil. AccesVPN offers metered bandwidth plans (250-500 GB monthly bandwidth) to its customers. Even though the bandwidth is capped, users would be able to stream their favorite shows, download content, use VOIP and play games at extremely high speeds. AccesVPN relies on PPTP and OpenVPN protocols to deliver its service. OpenVPN subscribers get to encrypt their data and online activities with 256 bit encryption which offers unparalleled level of security. The service allows you to secure your open Wireless sessions at airports, shopping malls, coffee shops and libraries as well as prevent your online activities from being monitored by organizations and governments. AccesVPN has not published its logging policy on its website. Most VPN providers do log connection details and co-operate with law enforcement agencies so the same should be expected of AccesVPN. 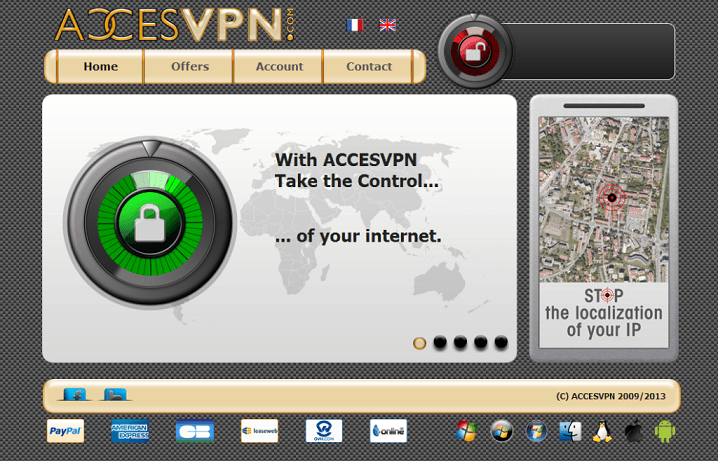 AccesVPN is compatible with Windows (7, XP, Vista), Mac, Linux, iOS (iPads & iPhones) Android and Blackberry. The company provides an easy to use app for Android but other devices and OS require manual configuration. The manual setup process usually involves tweaking some network settings (for PPTP) or installing a software (for OpenVPN) but it shouldn’t take more than a few clicks and 5 minutes of your time. AccesVPN offers customer support through a ticket based support system. Since the company has not published any troubleshooting information on its portal, you would need to contact the support staff even for seemingly trivial issues. 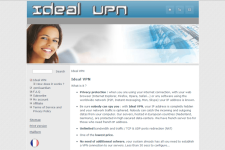 AccesVPN offers 2 different types of VPN plans – OpenAcces and FullAcces. 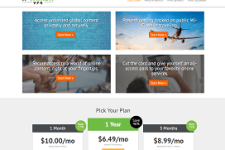 The OpenAcces plan comes with 250 GB bandwidth limit, supports only the OpenVPN protocol and costs 1.49 Euros for 3 days, 9.9 Euros for a month, 27 Euros for 3 months, 49.99 Euros for 6 months and 89.99 Euros for a year. 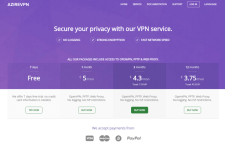 On the other hand, the FullAcces plan supports both PPTP and OpenVPN protocols, includes 500 GB of bandwidth per month and is available for 1.99 Euros for 3 days, 12.9 Euros for 1 month, 34.99 Euros for 3 months, 59.99 Euros for 6 months and 99.99 Euros for one year. The company offers 48 hour free trial to new customers but it doesn’t have a money back policy in place. 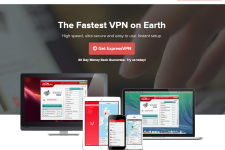 Overall, AccesVPN delivers a reasonably good VPN service. However, the service is somewhat expensive plus it doesn’t have gateways outside Europe. We recommend the service to customers who need a Dutch IP address or those who are not satisfied with their current VPN provider.